Every day we encounter many great questions from travelers about travel insurance and our plans. As your travel protection specialists, we enjoy helping travelers gain a better understanding of how travel insurance can help protect a dream trip. Previously, we answered ten of the most common travel insurance questions. 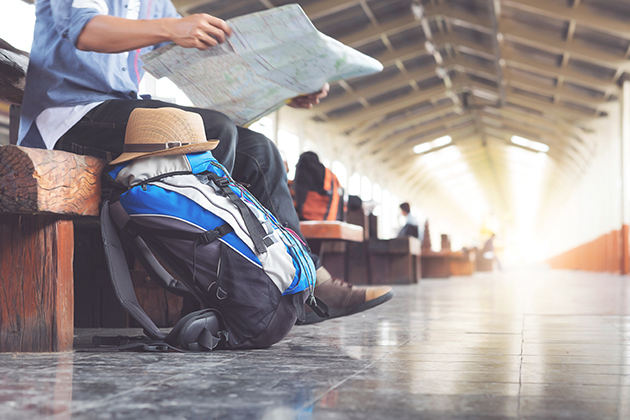 Now, we have five more great questions that should help you gain a better understanding of your travel insurance options. Can I buy travel insurance after booking my trip? Yes! In fact, that is probably the best time to purchase your travel insurance. The biggest benefit to purchasing early from Arch RoamRight is the Pre-Existing Conditions Exclusion waiver which is only available if you purchase within 21 days of making your initial trip deposit. Claims filed as the result of a Pre-Existing Condition are generally denied under a policy. This applies to pre-existing medical conditions affecting the insured, their traveling companion (insured or uninsured), or either of their family members. A Pre-Existing Conditions Exclusion waiver removes the application of that exclusion. Please note that the Pre-Existing Condition Exclusion waiver is not available with all Arch RoamRight plans. This must be the first and only booking for this same time period and destination. †For definitions, please refer to the travel insurance policy. Sometimes there is a chance that you will have to cancel your trip for a reason not generally covered by standard trip cancellation coverage. If this is a possibility for you, you might want to consider the Cancel for Any Reason Upgrade. Cancel the trip up to 48 hours prior to departure. While the other exclusions as they related to emergency medical coverage will still apply, the Cancel For Any Reason coverage gives you extra benefits in case you decide to cancel your trip. The Cancel for Any Reason upgrade is only available with the Arch RoamRight Preferred, Elite, Pro, and Pro Plus plans. Can travel insurance be purchased after departure? No, travel insurance through Arch RoamRight cannot be purchased after departure. That is why it is helpful to plan ahead and purchase your travel insurance around the time you book your travel arrangements. Can travel insurance be cancelled? With Arch RoamRight, we offer a 14-day money-back guarantee* that allows you to cancel your travel insurance plan within 14 days of the effective date** of your coverage or before your scheduled departure date, whichever comes sooner, provided you have not yet filed a claim. The effective date of coverage is the day after you purchase your plan for the Arch RoamRight Essential, Preferred, Elite, Pro, and Pro Plus plans. *Not available to residents of New York or Washington. **Residents of Indiana have up to 30 days from the effective date of coverage. Can travel insurance be extended? If you have not yet left for your trip, you can extend the coverage dates of your travel insurance policy. In fact, this is a pretty common request our customer service team encounters on a daily basis. We know that travel planning can be fluid and that dates can change at any point during the process. It is important to know that since Arch RoamRight travel insurance plans are priced on a number of factors, including trip length and cost, that if you extend your trip dates or increase your trip cost, you will have to pay additional premium for the added days of coverage. If you need to extend or change the dates of your covered trip, you can call our customer service team at 1-800-699-3845 and they will be able to assist you. Can travel insurance cover your rental car? With Arch RoamRight, you have two options for rental car coverage. The first option is to purchase the optional rental car damage upgrade with your Essential, Preferred, Elite, Pro, or Pro Plus plan. This optional upgrade provides coverage up to the limit listed for damage to a rental car during your trip due to collision, theft, vandalism, windstorm, fire, hail, flood, or any cause not in your control, as well as if the car is stolen and not recovered. For a full explanation of the coverage including exclusion, please read the policy prior to purchase. The second option is to purchase a separate travel rental car insurance plan through Arch RoamRight. This plan has none of the travel insurance benefits you will find in most Arch RoamRight plans, such as trip cancellation or emergency medical but it does include a baggage & personal effects benefit to help protect your belongings. If you have any other questions about travel insurance, please contact us or call our customer service team at 1-800-699-3845. RoamRight's Marketing Communications Specialist, Victoria Zidwick, has worked in the travel insurance industry for more than five years. She has traveled extensively throughout the United States and has a handful of international travel experiences.Victoria's travel experiences have changed in recent years, as her family grows and she is learning the ins and outs of traveling with children. Connect with Victoria on LinkedIn or follow her onTwitter or Google Plus.